A triptych is front of the city's famous Hotel Figueroa, not far from the Staples Center where the awards will be held. 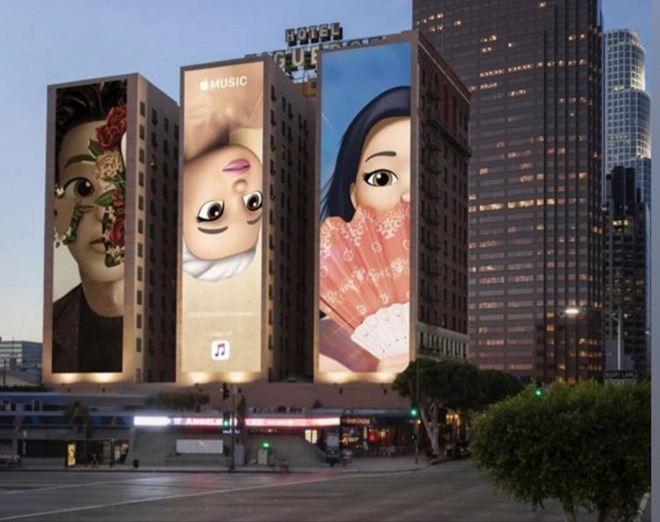 The display includes versions of Grande, Musgraves, and Shawn Mendes based on recent album covers, and calls attention to their Grammy nominations. 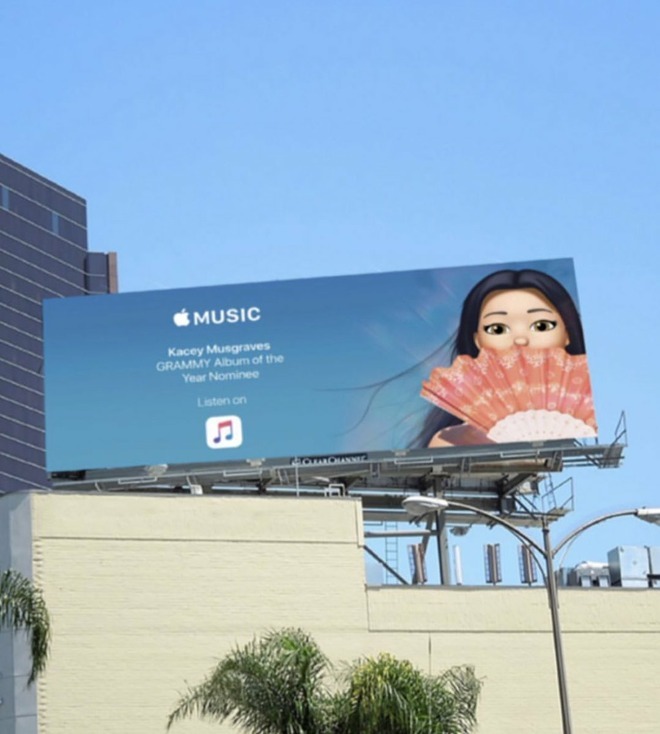 At least one solo billboard for Musgraves can be found elsewhere in Los Angeles. In that case the ad the points out that the singer is an "Album of the Year" nominee. While Apple regularly runs billboard campaigns, it's rare for the company to target specific events. In January the company plastered a pro-privacy ad near the Las Vegas Convention Center ahead of the 2019 Consumer Electronics Show -- presumably hoping to taking advantage of the thousands of extra eyes coming to the city. Memojis -- customized animojis -- have been a frequent focus of Apple's marketing. The feature was introduced alongside iOS 12, and is only available on devices with TrueDepth cameras, namely the iPhone X, XS, and XR, as well as 2018 iPad Pros. Animoji/Memoji need to be iconic and ubiquitous like Apple Emojis. Making memojis look cool is not going to change the fact that they're too cumbersome to use. Another Apple social fail. Nobody wants to take the time to make a facial expression every time they send a memoji. The fact that Apple does't allow you to save easily-accessible expressions that you can use on the fly makes it a nonstarter. How does Apple not understand this?? Also, they're very limited in their expressiveness, which is the whole gd point of them in the first place. Nobody chooses to use these types of things based on how accurate they are to real life. *Especially since it looks like they plan to release full body memojis that can be used in an ar/vr context at some point.